Here is a blend that has been the topic of conversation for quite some time, so I figured it was due for a proper review. 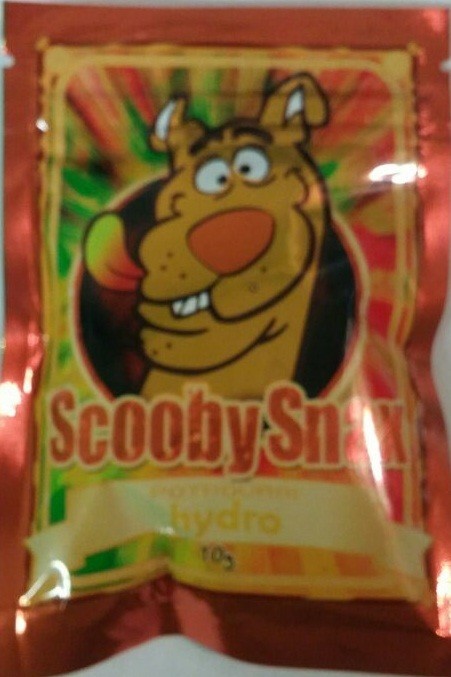 I ordered the Scooby Snax Hydro. Once the order arrived I opened the package and was greeted by an intense scent. I already liked this blend and hadn’t even burned it yet! Overall, the color of the blend was greenish. Though it has few small sticks and bits, the entire herbal blend has a nice fluffiness. The potpourri stays lit nicely, but burns a little too quickly, making the aroma slightly harsh. A noticeable visual activity was felt almost immediately. A strange discernible shakiness was noticed in my peripheral vision. Quickly afterwards, a strong body relaxation followed, along with some nice euphoria and a bit of cottonmouth. This is a nice heavy blend, but nothing too overpowering… I would rate it as being on par with old school original Scooby Snax. Something that won’t take you unwillingly overboard from just one or two pinches. I would recommend newbie start with just one pinch of this and gauge the strength themselves however, as everyone’s reaction to strong incense is different. Once you are acquainted with its aromatic essence, the aroma doesn’t last very long, about 30-40 minutes maximum. Regardless of these points, this is one of the most enjoyable herbal incense experiences you can have at the moment.